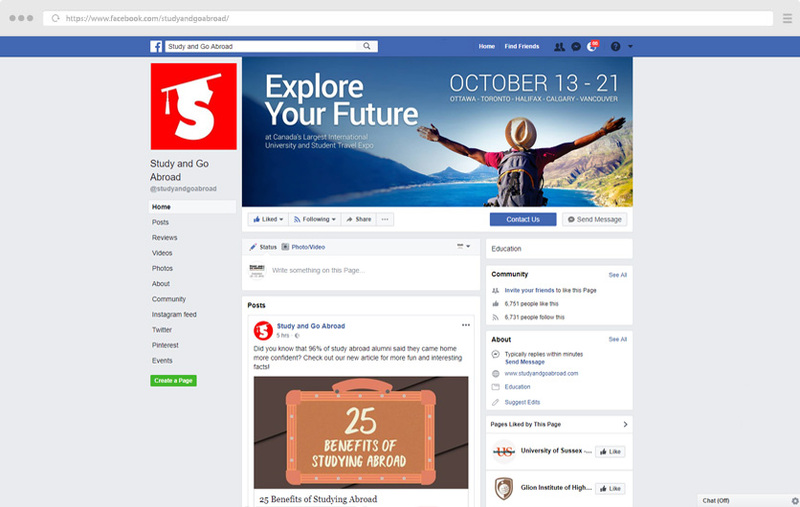 Reach students on social media by taking out a social media package or combine a web package with social media. We have a year-round, active presence on Facebook, Instagram, Pinterest, Linkedin, Google+ and Twitter. Brand a mailshot to reach our extensive database of 30,000 students, parents and educators, to ensure that they know about your organization and programs. 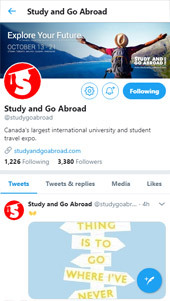 Or, feature in one of our quarterly newsletters to reach over 10,000 active subscribers – millennials looking for post-secondary travels and/or experiential learning experiences. Newsletters are sent out in February, May, September and December.